We use author bio plugins or inbuilt theme options to highlight details of a writer. It can be shown anywhere on the posts screen along with his/her social media profiles. This WordPress feature is very helpful for bloggers to get attention and become popular among readers around the globe. 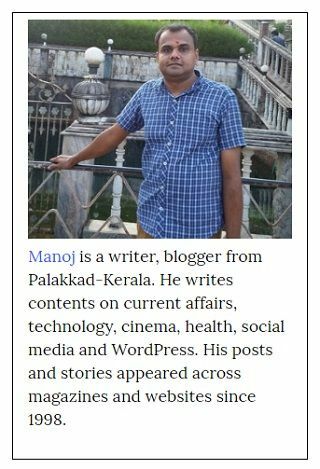 There are a couple of high-quality author bio plugins in WordPress to display author biography in an attractive box layout. If you are interested in doing something different and want to go for a customized way, I will tell you how. This’s my author box, that is displayed in one of my blog’s sidebar. To get this kind of author bio box in your blogs, follow the below mentioned steps. 1. 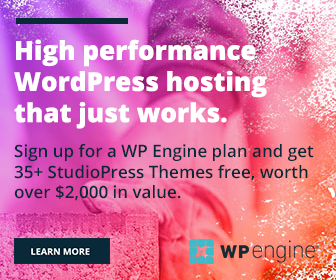 Login to your WordPress dashboard, go to Pages > Add New to create a new page. 2. Create a new table in a 1 x 1 format ( a single column x a single row). If you are using the TinyMCE Advanced plugin, it will be easier for you. A table icon will be shown on the top of your WordPress post editor. Click on it. Draw a table. To assign a border, select the table and go back to the table icon again. Table properties should be active now. Once clicked, various customization options will open. Here you can set table height, width, border size, border color, alignment, background color, etc. Enter ‘1’ in the input box that appears next to the Border option. 3. If you are not using the TinyMCE plugin, insert the following code in your HTML post editor to create a table. 4. 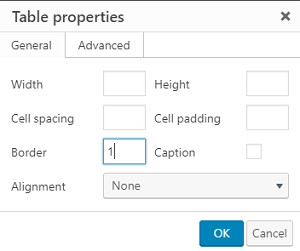 Insert author photo within the table, by going to Add Media option on the top. Reduce its size and align to the center of the table. 5. Type your biography as the next paragraph. When finished, jump to HTML mode once again and copy the entire code you have seen there. 6. Click Appearance > Widgets from the left menu bar to create a text widget. 7. Paste the entire code. Tap Save. Go to the front end and see how it works. 8. If you are running a multi-author blog, have to repeat this process for all of them. But we should display only one box at a time in the sidebar. Learn how to hide sidebar widgets from specific pages of WordPress.